Welcome to Elsie Whiteley Innovation Centre. We’re home to a thriving community of creative, digital and innovative businesses and the first choice for meeting space for many of our region’s biggest organisations. Shared office space in our start-up hub for you to build your ideas and get the ball rolling. Generator Space costs £50 per month and is available to tenants for 6 months. Designed for start-ups, this package includes a substantial rental subsidy. Your rent starts from 50% of the full price rental rate meaning an office for two people could cost as little as £130 per month. Our Growth Space allows you to configure space within the Centre to your exact requirements because our main priority is your success, not our bottom line. When you thrive — so do we. Meeting rooms at Elsie Whiteley cater for everything from small spaces suited to one or two people, to large open-plan rooms suitable for staff away days, product launches and training sessions. 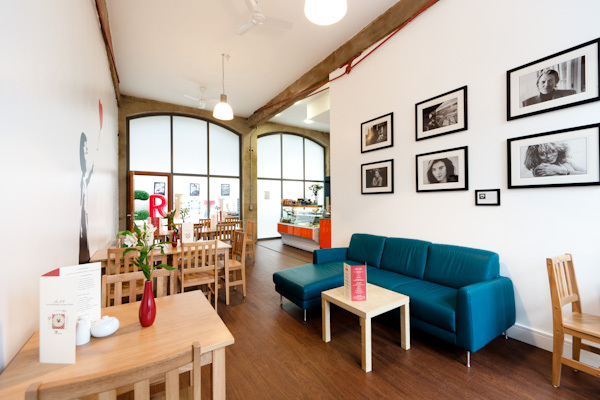 Even the smallest businesses can punch above their weight in our impressive surroundings. From easy in/easy out lease terms on office space to free upgrades and flexible space in our meeting rooms, we work your way. Our Centre is a hub for creativity, innovation and collaboration – come join the conversation. 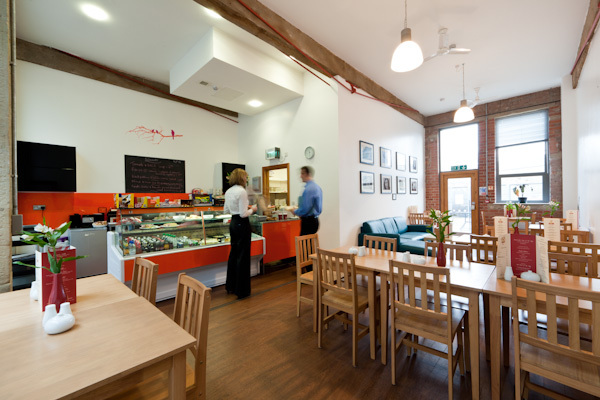 The cafe at Elsie Whiteley Innovation Centre is open to everyone weekdays from 7:30am for refreshments, breakfasts and light lunches and also offers free WIFI to all customers – the perfect place for informal meetings or to catch-up on emails over a coffee. Next time you’re in town, pop by and say hello. I have had a number of sensitive meetings at EWIC over the past few weeks and I want to say that the way you have looked after me and my visitors has been lovely – your professional and friendly approach is much appreciated. Excellent place for a 121 meeting or hosting a larger event. Very modern with all the bits you need such as Wi-Fi and overhead projectors. Decent parking on site which is free. Well worth visiting to scope this one out, have a cuppa in the cafe or a meal !